Put the moisture back in your home and hydrate your skin and nasal passages. This compact ultrasonic humidifier provides clean, pure, healthy moisture. Designed with an anti-microbial tank and base, rotating mist nozzle and a permanent ceramic filter. Also features an adjustable mist output knob and manual control knob. Automatic Shut Off,Tank Empty Indicator,Variable Speed,Water Level Indicator? Small (Less than 400 sq. ft.)? 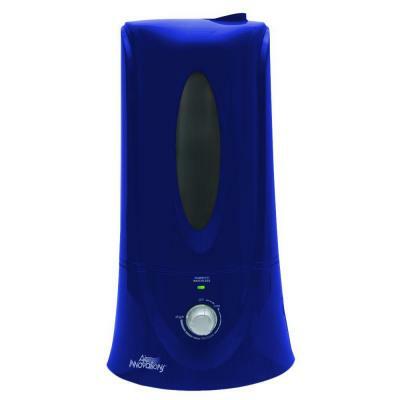 Air Innovations® Ultrasonic Digital Humidifier comes with a 1-year manufacturer s warranty. If this unit should become defective within 1-year from the date of purchase please contact us directly. ?